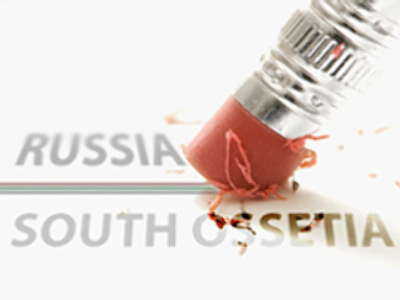 The border between Russia and South Ossetia may cease to exist, according to the Russian Prime Minister Vladimir Putin. He says there are corresponding mechanisms in the recently signed Moscow-Tskhinval agreement on friendship and co-operation. “As far as integration is concerned, currently it will be enough if we essentially eliminate borders between the Russian Federation and South Ossetia, assisting to restore the republic’s economy, if we give people an opportunity to live quietly and bring up their children, develop their republic and communicate without restrictions, without formalities at the frontier,” Putin said. He has added that one more document should be signed – on the one side it will be protecting Russia’s interests in respect to its outer boundaries, and on the other side it will give people an opportunity to communicate freely, “without any administrative barriers”. Russia has recognised the independence of Abkhazia and South Ossetia on August 26 as a result of Georgia’s aggression. On September 9 diplomatic ties have been established between Russia and the two republics, and on September 17 agreements on friendship and co-operation have been signed. As far as Georgia is concerned, Vladimir Putin believes diplomatic relations between Moscow and Tbilisi will be restored in the future. And so far the countries should maintain bilateral public relations.